Surviving as a new blogger can be very difficult, especially if you don’t have a day job, or you quit the job to do blogging full time. Blogging needs time, patience, determination, regularity, strategies and good writing capabilities. While you are creating your big money blog, which will generate tons of money for you, you need to keep earning some money in order to pay your bills and survive your struggle period. 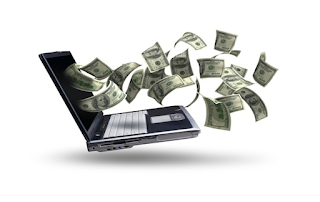 Here are some ways to earn money online without paying for anything besides an Internet connection, and I hope your dad gave you a computer when you were eight! These methods can make you earn decent income depending on how much time and effort you put. If you have a blog which already gets decent traffic you can start doing sponsored review for your blog. This also holds true for those who have a YouTube channel. For YouTube channel, you can join Famebit which is free to join & get sponsored offers. Remember to review good products, businesses and websites only. It’s again zero-investment income if you are using free blog hosting service of Blogger or WordPress. It can make you earn a lot. Guest posting has great benefits regarding traffic, exposure, credibility and recognition from search engines. The Affiliate marketing is the best way for anyone to start earning money online. This requires zero investment & you can use your blog or even your social media platform like Twitter, Facebook to promote & earn money. I know many bloggers who are earning thousands sitting at home just with affiliate marketing. Most bloggers don’t know which blogs allow auto-approved comments. There are thousands of high traffic blogs which allow auto-approved comments. Do research on the internet, make a huge list and start commenting service for other bloggers. Or just sell the list. You can similarly sell the list of do-follow comment blogs; comment Luv plugin enabled blogs; top commentator plugin enabled blogs, etc. Bloggers will be happy to pay you a few dollars for the list. Use forums to sell your list. Though this aspect is similar to blog commenting services, it can be a bit tricky and requires some SEO skills. So if you have some SEO knowledge then this aspect can come in handy for your. Ways like social media bookmarking among many others. Do let me know if you use any other method to Earn money from Internet? Which of the above methods have you tried?